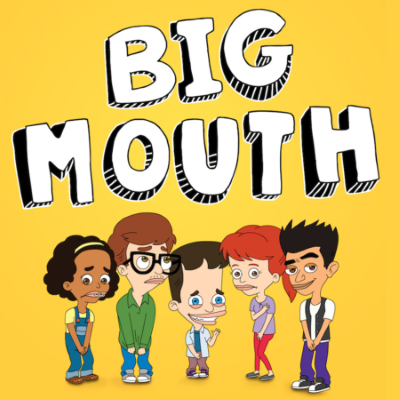 Only Netflix could pull off Big Mouth's kind of Valentine's Day special. "As a streaming outfit that doubles as a data warehouse, Netflix clearly understands the value of dropping releases at precisely the right moment—even its non-holiday-centric premieres," says Laura Bradley. "Gilmore Girls: A Year in the Life, a cozy family show, dropped just in time for Thanksgiving weekend 2016; last year, Bandersnatch was released right between Christmas and New Year’s Eve, a week built for binging. Historically, not all of Netflix’s holiday programming has been a home run—see, for example, Sofia Coppola’s A Very Murray Christmas, which landed with a whimper at the end of 2015. But 'My Furry Valentine' is proof that Netflix is perfecting its holiday-release strategy—as evidenced previously by the flurry of Christmas specials the streamer released last year, like The Princess Switch and special holiday-themed installments of Chilling Adventures of Sabrina and Neo Yokio. Traditional TV networks are at a distinct disadvantage when it comes to holiday programming; given the complicating factors of broadcast scheduling, they need to announce and drum up enthusiasm for these sorts of one-off events far in advance. But Netflix users, of course, aren’t bound by the confines of time slots." Nick Kroll on "My Furry Valentine": "I think it's fair to say we perceived of it as a bridge between Season 2 and 3. It really is the beginning of Season 3"